When car buyers think of the Jeep Grand Cherokee, they’ll focus on the SUV’s ruggedness and luxury. While many customers would love for their vehicle to possess both of these attributes, they might find that it’s not financially feasible. Luckily, the Grand Cherokee is still a realistic option even on a limited budget. By pursuing a used model, customers can enjoy the nameplate’s assortment of features and capabilities… all for a fraction of the price. There are a number of advantages that accompany purchasing a used Grand Cherokee, making it a logical choice for any car buyer seeking an SUV. Plus, by pursuing a used Grand Cherokee, drivers can be assured that their ride is in style and not out of date. Choosing between the variety of Grand Cherokees can be daunting. Every version of the nameplate has generally been well-regarded, so you won’t make a bad choice regardless of your decision. Of course, there are several model years that stand out in particular, especially the fourth generation models. 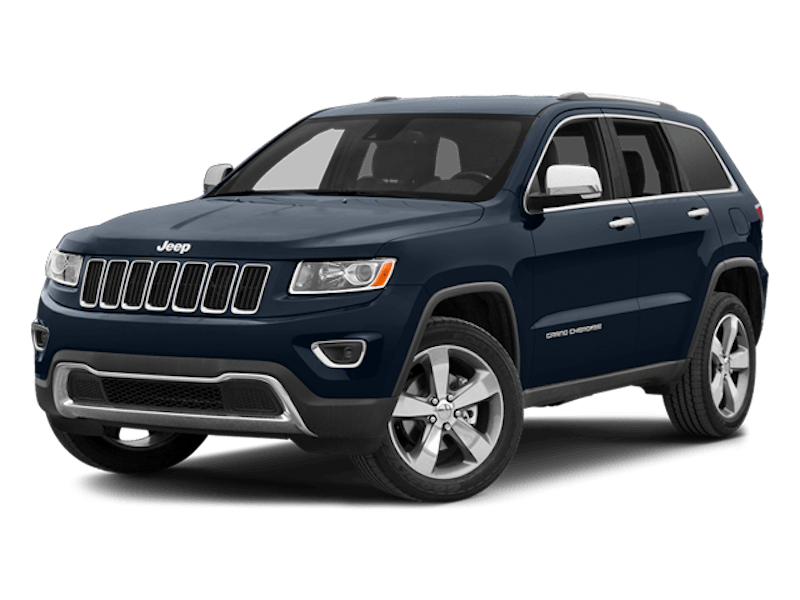 Debuting in 2011, these Grand Cherokee are among the most advanced and capable models in the nameplate’s long history. Choosing between a new car or a used Grand Cherokee can certainly be a difficult decision, and determining which model year to pursue can be even tougher. Luckily, any apprehension will be washed away the moment you step inside the Jeep’s stylish cabin. The 2011 Jeep Grand Cherokee ushered in the fourth generation of the nameplate. Originally shown at the 2009 New York Auto Show, the vehicle kept many of its most recognizable and beloved features. However, engineers included a number of modern styling cues and features to help separate these Grand Cherokees from previous versions. These changes ultimately worked. The new rendition of this Jeep Grand Cherokee was immediately commended for its changes, and the nameplate racked up more than 30 awards during its first year on the market. The engineers of the fourth-generation Jeep Grand Cherokee certainly wanted their SUV to be stylish, but they were also looking to design an aerodynamic exterior. A massive reduction in torsional rigidity has improved the vehicle’s overall ruggedness and durability, and it also played a role in reducing cabin noise. While a steel unibody is still used for the chassis, the fourth-generation Grand Cherokee included a new four-wheel independent suspension. This revamped system played a significant role in improving the nameplate’s off-roading capabilities. Several Quadra-Trac and Quadra-Drive four-wheel drive systems were available, as was the Quadra-Lift height adjustable air suspension system. When the fourth-generation Grand Cherokee first hit the market, it was accompanied by a pair of engine choices. The 3.6-liter Pentastar V6, capable of producing 290 horsepower and 260 pounds-feet of torque, replaced the PowerTech engines, while the hulking, 360-horsepower 5.7-liter HEMI V8 engine stuck around. A 3.0-liter turbocharged EcoDiesel V6 engine was eventually offered by the brand, as was the powerful 6.4-liter HEMI V8. These HEMIs don’t only deliver optimal power, but they also provide optimal hauling abilities, with the original trailer towing capacity coming in at 7,400 pounds (Pentastar models could haul 5,000 pounds). Jeeps deliver excellent bang for your buck, but these price tags may still be too expensive for some customers. In these cases, pursuing a used vehicle will still allow you to purchase a Grand Cherokee or SUV. Used vehicles are more affordable than their new counterparts. Although you’ll have to compromise a few things in regards to features and capabilities, the savings will make it all worth your while. SUVs can be rather expensive, and many models are outside of the reasonable price range of a customer. However, that doesn’t mean they still can’t secure an SUV as their next vehicle. By opting for a used model, you’ll be able to get your desired nameplate for a fraction of the price. Depending on the deal you come across, you may have some extra wiggle room in your budget. This will allow you to pursue features or purchase add-ons that might not have been realistic on a new Grand Cherokee. Buying a new model is all well and good. However, what happens if you’re in the market for a new vehicle but you’re not a big fan of the current model year? It can be difficult securing a “new” version of a previous model year, meaning you may have to settle for a version you don’t necessarily want. The 2016 Grand Cherokee is certainly a good choice for those pursuing a new vehicle, but some Jeep enthusiasts may be more infatuated with previous model years. By pursuing a pre-owned model, customers aren’t limited to a particular version of a nameplate. The standard fourth-generation Grand Cherokee is mighty impressive, but owners could deck out their SUV with a variety of different trim options. There have been more than 10 different versions of the nameplate since 2011, providing owners with a variety of amenities and capabilities. These trims often required an extra investment, but that won’t be an issue if you’re pursuing a used fourth-generation Grand Cherokee. You could realistically have one of these specific versions fall right in your lap, and you might not even see a bump in the value! The Laredo E was among the first trim options available on the Grand Cherokee. Along with the regular Laredo trim (available in 2014), drivers could expect a number of amenities. The version features a 3.6-liter Pentastar V6 engine, which was partnered with either a five-speed automatic transmission (2011-2013) or eight-speed automatic transmission (2014) and 17-inch alloy wheels. The interior included an AM-FM stereo with a CD/MP3 player (which was accompanied by an auxiliary audio output jack). Drivers could appreciate the music via the six-speaker audio system. The trims also offered cloth seating and a security alarm. The Laredo X was available between 2011 and 2013, and it essentially added several amenities to those previously-mentioned trims. The vehicle rode on 18-inch alloy wheels, and buyers could opt for the impressive 5.7-liter HEMI V8. This particular trim was more about the interior amenities, however. Designers included a touch-screen infotainment center, which allowed drivers to access SiriusXM Satellite Radio. An Alpine nine-speaker premium sound system (with subwoofer and center-channel speaker (with surround-sound, push-button start)) helped make for one of the best driving experiences possible. The Grand Cherokee offers plenty of luxury, but the Overland trim took that opulence to another level. Available since 2011, this version of the SUV includes leather upholstery and heated/ventilated front bucket seats. The center console offers GPS navigation, providing drivers with guidance during their trip. The vehicle rode on four 20-inch chrome-plated alloy wheels, which partnered perfectly with the EcoDiesel TurboDiesel V6 engine or 5.7-liter HEMI V8. For convenience, engineers added a power liftgate and a panoramic sliding sunroof. The Overland Summit was available from 2011 through 2014. The trim added “Summit” front seats and a “Summit” emblem out back. In 2014, engineers added the incredible 19-speaker Harman/Kardon premium surround-sound system. The Faricy Boys in Colorado Springs, Colorado, potential customers will be receiving the best possible car buying experience. You won’t be duped by any gimmicky sales or hidden charges, and the sales team will work with you to find the perfect vehicle that fits within your budget. A quick, stress-free car buying experience waits for you at The Faricy Boys – the perfect place to purchase your used Grand Cherokee.